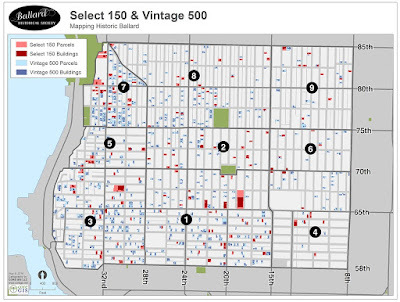 Yesterday I attended the 2016 Washington URISA conference in Tacoma and gave a presentation called Mapping Historic Ballard with Crowd Sourced Mobile Data Collection to a room full of my GIS colleagues. The slides from my talk are available here and should also be available on the conference site sometime soon. I had a great time at the conference, and as usual came away with new friends, ideas and insights. The Mapping Historic Ballard project is nearly complete and we will be celebrating the completion of the project on Saturday, June 4 at the Sunset Hill Community Center (more details here). In addition to the representative sub-set, we are able to create a variety of maps using the attributes collected during the survey. 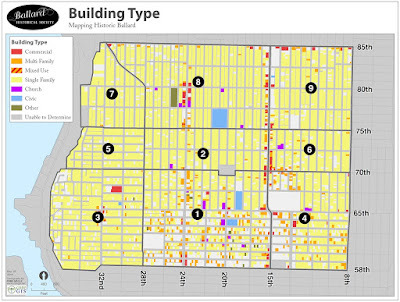 This map shows buildings by type. 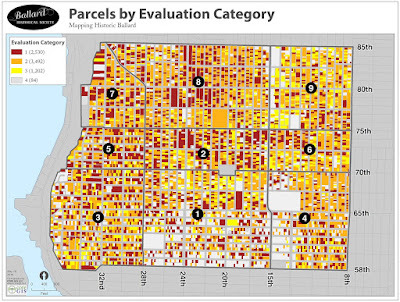 This map shows all parcels by evaluation category. In addition to the static maps, stats, and spatial data we produced for the project, we also generated a series of interactive webmaps. 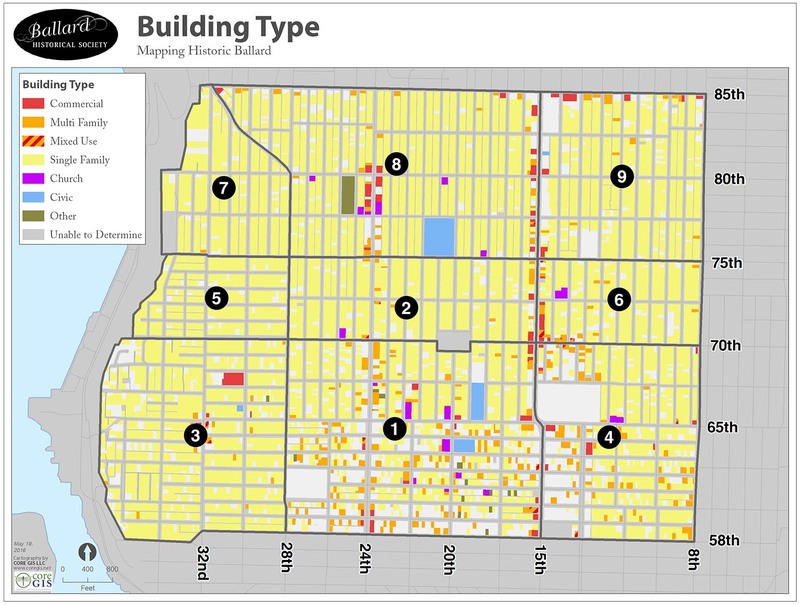 Below is the map of the full survey--click a parcel to see a photo of the building, as well as a list of structural and site characteristics. (a full screen version is available here). My talk focused heavily on the volunteer-driven nature of the project, and I want to acknowledge the tremendous dedication and effort exhibited by the dozens of Ballardites who walked the neighborhood and used their mobile devices to gather the survey data. Here are a few pictures from the first training session and the field survey.